UK-based custom house Sinroja Motorcycles’ rendition of the Continental GT 650 has left us drooling! This performance powerhouse has been purpose built with just one thing in mind - straight line speed! We had spotted it, contemplated about it, waited for it, and finally, it is here. 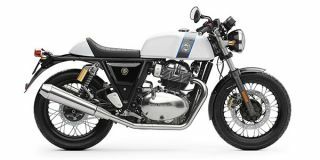 We decode continental GT 650.